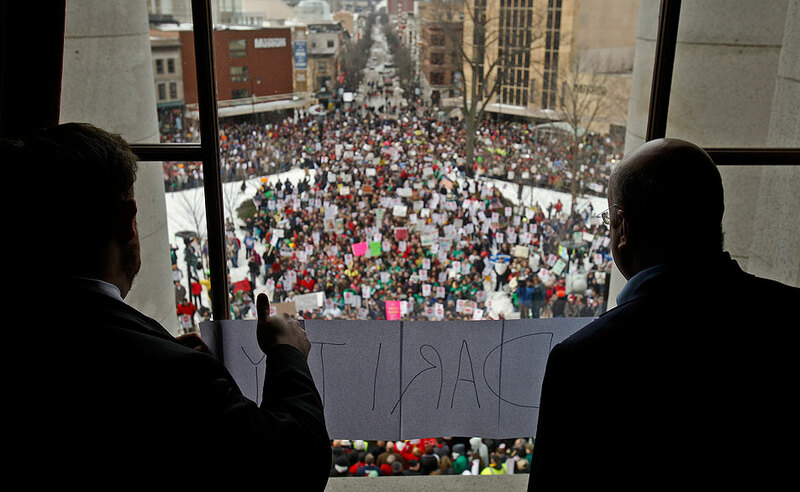 Recent protests in Wisconsin are reminiscent of 1960s counterculture movements. Here, Steven Ridgely asks what, if any, form of counterculture might emerge from this highly politicized moment. Image source. The recent protests in Madison, Wisconsin, by a coalition of students, organized labor, and concerned citizens reminded many (mainly due to the size of the rallies) of Vietnam era protests, although this time citizens of all ages marched alongside unionized police and firefighters. To those of us who work on 1960s Japan these events could not help but resonate with the mass protests in Tokyo and around the country that marked the beginning and end of that turbulent decade. The deepest resonance for me was in watching people turn to the “what next” questions as the rallies continued on for an entire month and interest shifted toward legal challenges, recall elections, and consumer boycotts. Counterculture, I think we could safely say, emerged in the '60s as a different sort of answer to the “what next” question, proposing not just an alternative lifestyle but also a set of tactics that could be used to secure autonomy, frustrate the authoritative consolidation of power, and begin creating pockets of a postrevolutionary society. I am very curious to see if some new form of counterculture (hopefully not just a reissue of bell-bottoms) emerges from this newly politicized moment. 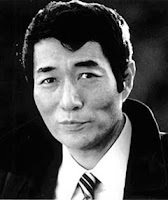 As I argue in Japanese Counterculture, tracking the work of a figure such as Terayama Shūji (1935-1983), who was central to countercultural art in Japan, can help us better understand both 1960s Japan and the global nature of counterculture. His movement across the worlds of poetry, radio drama, fiction, underground theater, and experimental film often tracks an intervention by young artists in those realms. But a hub-and-spoke, influence-and-adaptation model of cultural movement breaks down dramatically upon close evaluation of counterculture, and what I try to show with this book is not only how a Japanese poet and artist operated as a full participant in counterculture but also how we might productively look toward art for theory, even as we view it through theory, with the expectation that a fuller theory of counterculture could be distilled from patterns in the artistic production itself. just the future of nuclear power to wondering if these events will mark a shift in contemporary society’s relationship to electricity itself. At the least it seems that the technocratic logic suggesting that sufficient safeguards were in place has been dealt yet another blow. There will certainly be calls to draw down demand with more “sustainable” lifestyles (and the increase in rolling blackouts predicted for this summer will require energy austerity of a huge percentage of the population), but the long-term proposals for a real solution will be an interesting debate. Terayama was decidedly of the urbanist faction of counterculture, and found the return-to-the-land maneuver of the commune movement to be an unfortunate retreat. I can’t imagine him pushing for deurbanization or technophobia even now, but I’m almost certain he’d find some way to utilize the blackouts as an opportunity of some kind ... maybe participatory street theater. 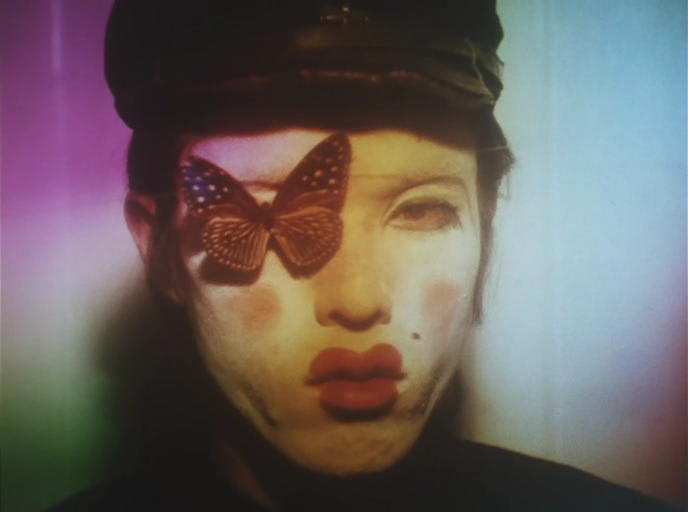 Steven Ridgely is author of Japanese Counterculture: The Antiestablishment Art of Terayama Shūji. "Ridgely’s exciting book opens Terayama’s world—his work as a poet, playwright/theater director, radio dramatist, filmmaker—and most importantly conveys the feeling and air of the times, the ‘tactical’ interventions of this fascinating figure within the space of counterculture."